Big Data, a trend that is showing no signs of slowing down. In fact, its impact is felt more and more with every passing day. A very basic definition says : ‘Big Data’ is a term that describes large volumes of data, both structured and unstructured, that bombards a business on a day-to-day basis. According to a study, every day, 2.5 quintillion bytes of data are created. These data come from digital pictures, videos, posts to social media sites, intelligent sensors, purchase transaction records, cell phone GPS signals, to name a few. This is known as Big Data. Volume: The amount of data being created is vast. 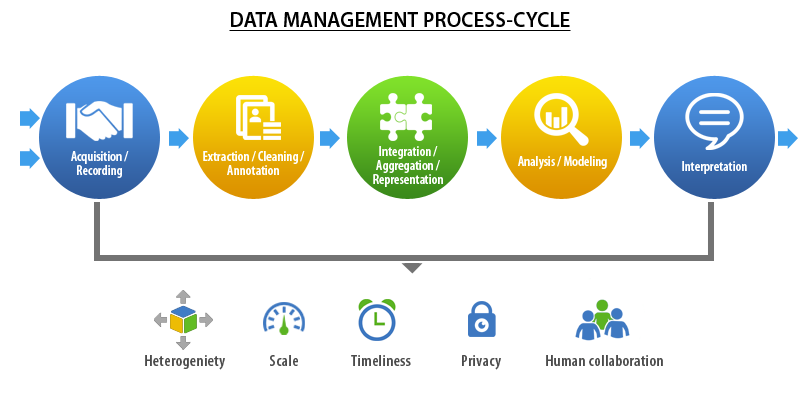 Organizations collect data from a variety of sources, including business transactions, social media and information from sensor or machine-to-machine data. In the past, storing it would’ve been a problem – but new technologies (such as Hadoop) have come to the rescue. Variety: Data is received in all types of formats, from structured, numeric data in traditional databases to unstructured text documents, email, video, audio, stock ticker data and financial transactions. Velocity: Data streams-in at an unparalleled speed and must be dealt with in a proper and timely manner. RFID tags, sensors and smart metering are driving the need to deal with torrents of data in near-real time. 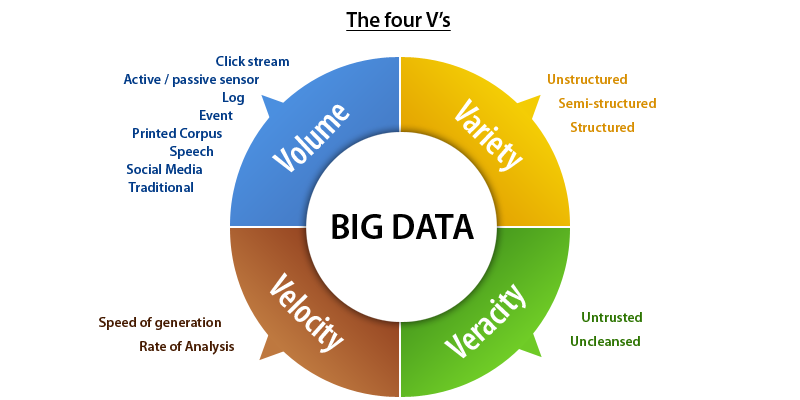 Veracity: Big data is sourced from many different places and as a result the veracity/quality of the data needs to be tested Why is ‘Big Data’ trending?